In the name of good neighbourly relations and the difficult task everyone to prepare well to fulfil the getting ever tighter EU membership criteria, the remark by the then presidential candidate of Serbia Tomislav Nikolic that Vukovar was a Serbian city was bypassed with diplomatic and tight statements in Zagreb and then with the silent refusal of President Ivo Josipovic to meet the new head of state of Serbia. Josipovic's condition was Nikolic to apologise so that the repair of relations between the two countries, that started with difficulty but with a lot of will between the two countries during the governance of former President Boris Tadic. Historically, this is a town, situated on the river Danube in the eastern part of Croatia, close to the Serbian border, and before the war a lot of Serbs lived there. The town was completely destroyed by the Yugoslav army in 1991 during the war for the break away of Croatia from former Yugoslavia. Vukovar lived through a 87-day long siege by the Yugoslav People's Army, defended by a small group of self-organised Croats. It is believed that after the fall of the town, some 2 thousand defenders of the town and civilians were killed and over 20 thousand were expelled. Some even compare the siege of Vukovar with Stalingrad during World War II. Symbolically, however, this is a huge wound for the Croats - something they vow they will never forget. A little before the voting in the second round of the presidential election in Serbia in May 2012, Tomislav Nikolic gave an interview [in German] for the German daily Frankfurter Allgemeine Zeitung in which he says that Vukovar was a Serbian town and that Croats never returned there. Then, too, he reacts emotionally to the fact that Croatia avoided contacts with him, but states: "If Croatia wants we will work together. If it doesn't then this is a Croatian decision. Croatia will soon become a member of the EU, but it was unjustly preferred over Serbia. The issue of the displaced by Croatia Serbs and their property has not been solved. Croatia has not succeeded in ensuring sufficient security to allow the Serbs return safely. They cannot dispose their own property. So, Croatia has no reasons to be mad at me", Nikolic says, not hiding in the same time that he dreamt of a Great Serbia - a dream, of which he says will remain only a dream because the international rules have to be respected. This remark, as well as his statement that the massacre in Srebrenica was not genocide, sobered the Balkans that have started to believe that it was possible to achieve some European-like level of normalcy and to deal with the far more important tasks to come out from the tough economic situation in which they find themselves or, generally, to start building their future instead of suffering for the past. Nikolic's statements startled the international community (the EU in particular), but in general prevailed the attitude "let's give him a chance" - an attitude shared by Kosovo PM Hashim Thaci in Sofia earlier this year. 10 months later, the Balkans are facing a new challenge - the Hague tribunal for the war crimes in former Yugoslavia pronounces releasing sentences for key figures from the wars in former Yugoslavia - the generals Ante Gotovina and Mladen Markac, convicted before that by the same tribunal to, respectively, 24 and 18 years in prison for ethnic cleansing of populated mainly with Serbs southern towns of Croatia. The freeing from guilt of the two generals, considered national heroes in Croatia, was surprising for a large part of the Croatian society, which gave way to national celebrations. The release of Gotovina and Markac was interpreted as a rehabilitation of historical justice and as a final closure of this chapter of the newest history of independent Croatia. General Gotovina called upon the Croatian society to turn to the future and General Markac said that all Croats now had a free motherland in which they could return whenever they like. The decision of the Hague tribunal was surprising for Serbia as well, which initially accepted the news relatively calmly, though insulted, but a frightening rhetoric is gaining speed. In the very first days after the release of Gotovina, Serbian media, and not only, raced to interview him. In this way, for a Serb medium, the general was literally forced to say that he calls on the Serbs who left Croatia to return. The attempts of a Serbian journalist to make him say it were persistent, while Ante Gotovina was trying to explain that in his capacity of an ordinary citizen he had no right to tell anyone what to do, especially when that someone had a motherland. Nonetheless, Gotovina's words that the Serbs were welcome to return to Croatia, were taken up both by Serbian and Croatian media. As could have been expected, Serbia called these words cynical and President Tomislav Nikolic went even farther in an interview [in Serbian] for the Belgrade-based Kurir edition. "This is cynical! 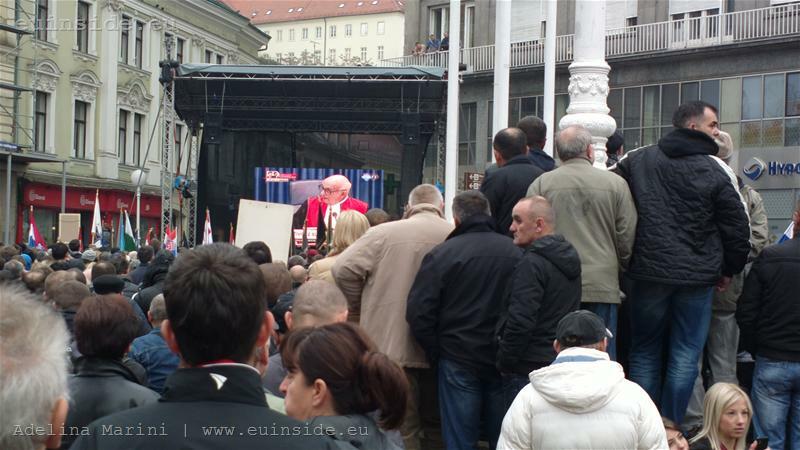 ", he says asked to comment precisely those words of General Gotovina. "What does he want - they to gather and he once again to displace them and beat them, to complete that job? So that they do not seek their property anymore. I dare say - this is the understanding and the truth, and the God, and the justice of two peoples - the Serbian and the Croatian. When Ratko Mladic was indicted for Srebrenica, we did not wait for him to be convicted, we immediately adopted a resolution in Parliament, condemning the crimes. Our government arrested Mladic and brought him to the Hague. I know that this was a crime and will never say otherwise. The Croats know that a horrible crime was perpetrated in 'Storm' [operation 'Storm'], which will bite them until they live, but they celebrate something for which no one is punished. This is a people on the wrong path, a people who could shoot anybody who tells them - stop, people this was a crime!" The president of Serbia says that ways must be sought for cooperation with "that country" in the area of economy and other areas of mutual interest. "But it is obvious that with a country that hails its crimes cannot be cooperated with sincerely, openly and cordially. It is impossible! It's not happening! In the name of what? In the name of the victims, in the name of their children? ", Nikolic continues in his interview for the Kurir. He added that Serbia had big plans to settle accounts with Croatia and Bosnia and Herzegovina and to establish good relations. According to him, however, with Croatia "things are not going well". In his words, Croatia's president awaited this sentence in order to find a reason not to "reconcile". "All talk that he is mad because of what I said about Vukovar are a lie. He waited for this sentence. Now he wants to talk - me as president of the people who committed crimes and he as president of the people who were not convicted of anything". Croatia reacted sharply to Nikolic's interview in a statement of Vesna Pusic, a first deputy prime minister and minister of foreign affairs, in which is said: "We are unpleasantly surprised by the statements of the President of the Republic of Serbia Tomislav Nikolic, stated in an interview today for the Kurir newspaper, which in no way contribute to the normalisation of relations in the region and which we view as a bad message for the relations between Croatia and Serbia". In the statement, it is reminded that the Hague tribunal found unequivocally that Generals Gotovina and Markac were not responsible for war crimes, perpetrated during the war on Croatia's territory. "We recall that high Croatian officials stated a number of times already that this does not mean that we ignore the crimes perpetrated on the territory of the Republic of Croatia by individuals as from Croatian so from Serbian side. Also, we stated several times that neither crimes nor their perpetrators have nationality and vice versa - that every perpetrator, no matter what theyr nationality is, will be punished for the crimes they committed", Mrs Pusic's statement reads. Serbian President's anger raged beyond the border of the region, reaching the EU. According to him, the Hague tribunal supported Croatia and not only. "It is not right that the EU did not want to burden Croatia with such a conviction right before its entry into the EU. Now they will jump on me again. Let. But Serbia is an arranged country, at least as much as half of the EU member states, and is ready to be in the Union. [...] I think that we had to start negotiations or at least to be told in how many years we could expect that", Nikolic says in the same interview, thus passing the ball into EU's playground. "Regarding regional issues and international obligations, Serbia continued to cooperate fully with the International Criminal Tribunal for the former Yugoslavia. Serbia continued to provide smooth and swift access to documents and witnesses, in support of the ongoing or planned ICTY trials. Domestic processing of war crimes continued and regional cooperation and exchange of information intensified. However, Serbia needs to further intensify its investigations into the networks of aid to the former ICTY fugitives in order to achieve visible results". This is written in terms of cooperation with the Hague tribunal, which is already not a fact because right after the Hague ruling for Gotovina and Markac, the government in Belgrade announced that it reduces to "technical" its cooperation with the tribunal. And regarding regional cooperation, the report says: "Serbia maintained a good level of relations with its neighbours and active involvement in regional cooperation, notably with its chairmanships of the South East Europe Cooperation Process (SEECP), the Migration, Asylum, Refugees Regional Initiative (MARRI), the Adriatic-Ionian Initiative (AII) and the Black Sea Economic Cooperation (BSEC). It continues to play an active part also in the Regional Cooperation Council (RCC) and the Central European Free Trade Agreement (CEFTA)". The EU and the international community at large (most of all in the face of the Hague tribunal), and all of us in the region by the way, wanted too much to close this horrible chapter of history. It is ever more clearer, though, that this will not happen without clarifying who is guilty of what, until the guilty are punished and all start anew. This will require the efforts not only of the countries in the region but of the EU as well, which is now entirely responsible for the incorporation of these countries into itself and its values. 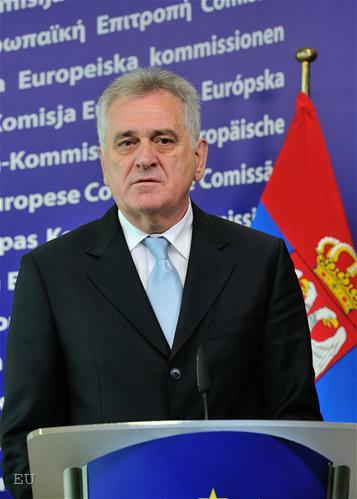 So far, the EU slowly and systematically has been pushing Kosovo forward as a precondition for Serbia to start accession negotiations with the EU - something which Serbia, and especially the current government led by Nikolic and the former spokesperson of Milosevic Ivica Dacic, unequivocally state that if this is the condition then Belgrade will not haste with the European integration. It seems, however, that the relations with the other countries in the region, not only Kosovo, should also be a condition, and not only for Serbia. But most of all, this requires time. It is true that the EU is not up for this at the moment, but it has to raise its eyes from the eurozone crisis and see the blinking of the yellow lamp in the Balkans before it has become red. Is it possible the lamp to become red, you're asking? In the Balkans we have proved that everything is possible - even a war in the end of the 20th century. *In a previous version, this article incorrectly stated that Vukovar was populated mainly with Serbs. 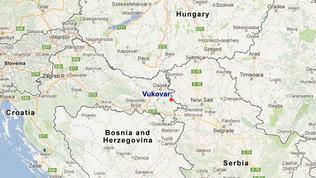 Vukovar was never ever populated mainly with Serbs. Check your numbers! *Vukovar was never manily populated by serbs, Croats were always a majority. This article leaves out that the Croats started the killings in Vukovar. It was Tomislav Mercep and the Croat police who started arresting, torturing and killing Serbs in Vukovar. Also, the Croat forces were killing the civilians Serbs in Vukovar. On their retreat even, they pulled hiding Serbs out of their cellars and shot or axed them to death. I've seen the photos of these murdered, fully identified Serbs. I have not seen photos of Croat civilians killed in Vukovar - the deaths of Croats was virtually all police, paramilitary and military. Even the ICTY admitted those killed during the fall were military. Also, Tomislav Mercep was bundled out of Vukovar before the fall and he went on to operate a death squad around Gospic where Serbs were liquidated. Just one of his right-hand men, Miro Bajramovic, admitted that he alone was responsible for the deaths of 86, mostly civilian Serbs. There are individual Croat men who got away with scores of murders of civilians and are walking around free today in Croatia.Croatia's census also showed a severe drop in the ethnic Serb population. The ethnic Croat population rose, percentage-wise, not dropped. Most all of their deaths were police and military, sprinkled in with a lot of foreign mercenaries: Dutch, British, & German who were killing the local people then went back home and live as free men. In 1991, the bloody break-up of Yugoslavia triggered aCroatian-Serbian war. Backed by the Yugoslav army and late Serbian strongmanSlobodan Milosevic, Serb rebels waged a brutal campaign of aggression againstCroatia and later, Bosnia. Milosevic’s goal was clear: genocide. His Serbmarauders annexed nearly one third of Croatia’s territory, murdered nearly20,000 people and ethnically cleansed over 200,000 civilians. Entire cities,such as Vukovar, were razed to the ground. In Bosnia, Milosevic’s forces did even more damage: Theysystematically slaughtered hundreds of thousands of Bosniaks and Croats, seizedalmost 70 percent of Bosnian land, expelled almost 2 million people, anderected a vast network of mass graves and concentration camps. Milosevic’s aimwas to forge an ethnically pure Greater Serbian empire, stretching from theDanube to the Adriatic. By the summer of 1995, he was on the verge of achieving hisneo-fascist, imperialist project. Yet, led by Gen. Gotovina’s forces andsupported by the United States, the Croatian government launched a lighteningmilitary offensive, known as “Operation Storm.” The offensive restoredCroatia’s territorial integrity. It dealt a decisive blow to Milosevic’s dreamof a Greater Serbia. 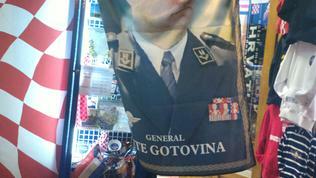 Gen. Gotovina’s army liberated Croatian lands. Moreover,the army swept into neighboring Bosnia, freeing the besieged pocket of Bihacfrom a Srebrenica-style massacre, and then rolling back Bosnian Serb forces.Gen. 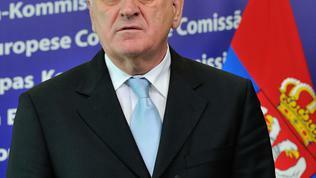 Gotovina’s actions effectively smashed Belgrade’s campaign of mass murderand ethnic cleansing. No one — not the European Union, the U.N. or NATO — didmore to end the savage fighting in Croatia and Bosnia than Gen. Gotovina. His crime, however, in the eyes of Belgrade and prosecutorsat The Hague, is that he played a pivotal role in achieving Croatia’s hard-wonindependence. From its inception, Serb-dominated Yugoslavia was a repressive,synthetic state. Its captive peoples hungered to be free of Belgrade’s irongrip — especially, the Croats. Hence, the dissolution of Yugoslavia was notonly inevitable, but signified a major victory for democracy and nationalself-determination. Yet, for the Serbs, this meant the loss of imperialprestige, regional hegemony and the benefits of economic exploitation. Hence,for decades their aim was to cripple Croatian nationalism by presenting it asillegitimate. 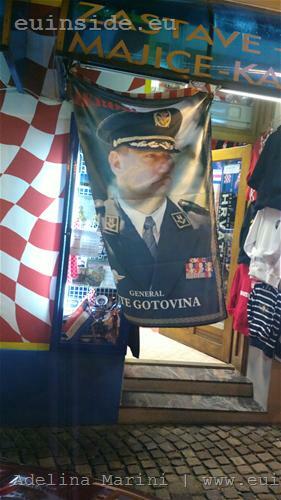 This is why Belgrade feverishly lobbied The Hague tribunalto go after Gen. Gotovina and demonize Operation Storm. U.N. prosecutors tookthe bait: They sought to equalize guilt on all sides of the conflict byattempting to criminalize the Croatian military offensive. They charged thatOperation Storm expelled nearly 200,000 Serbs and killed hundreds more in adeliberate effort to ethically cleanse Croatia. In other words, the U.N.prosecution sought to transform Croatians from victims to aggressors, therebyentrenching the notion that Croatia was founded upon war crimes. The Gotovinacase threatened to undermine Zagreb’s national sovereignty, the security of itsborders and its international legitimacy. Serb revanchists were hoping to usethe Gotovina conviction as a pretext to restore a Greater Serbia — althoughthrough legal means instead of military force. 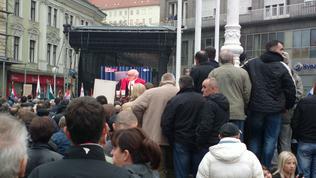 Ultimately, Gen. Gotovina’s acquittal is a politicalwatershed in the Balkans. His victory also vindicates the country’s war forindependence, which achieved Croatia’s historic quest to escape colonialsubjugation. Hungarians, Venetians, Austrians, Ottoman Turks and the Serbs —all have ruled Croatia as imperial masters. No longer. From the rubble of theBalkan wars, a Croatian nation was born. Its territory is now secure. Itsborders cemented. Its people free to determine their own destiny. It is Serbia and it’s population who must stop believing Milosevicera propaganda. Accept the role of the aggressor and go through a catharsis.Otherwise they will always remain a nation whose main quality is to try andblame others for their own situation. Whoever you are, thanks for the correction. 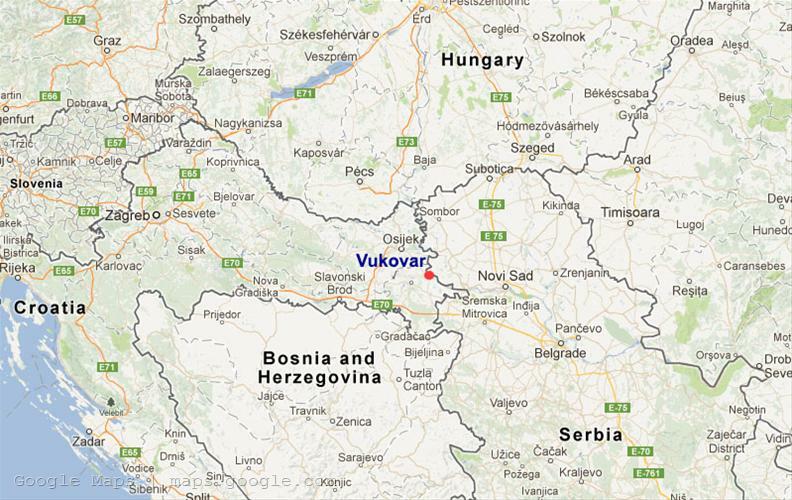 Vukovar was not populated mainly with Serbs but they had a significant presence.